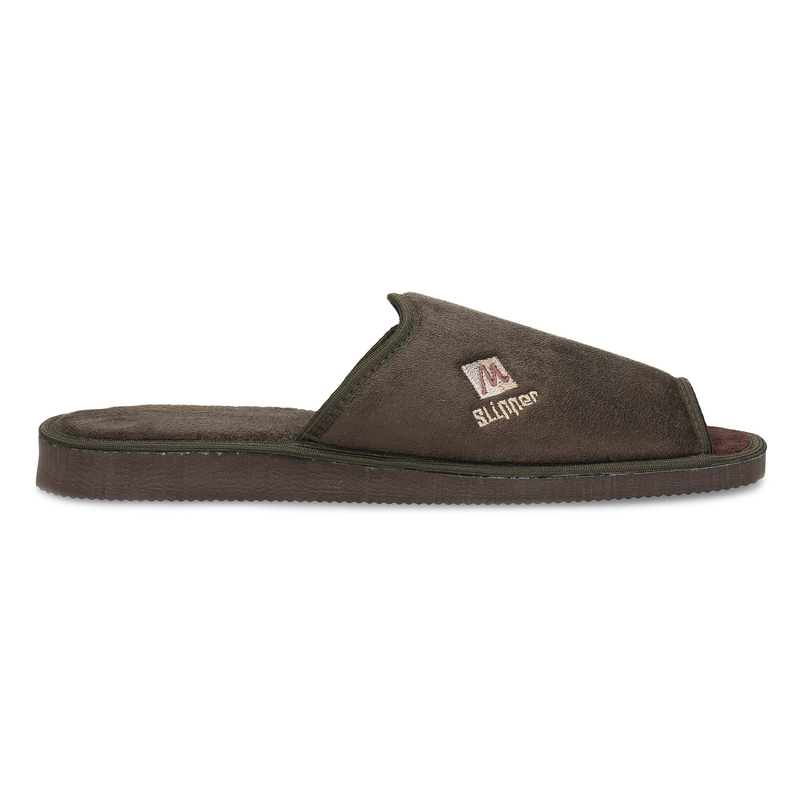 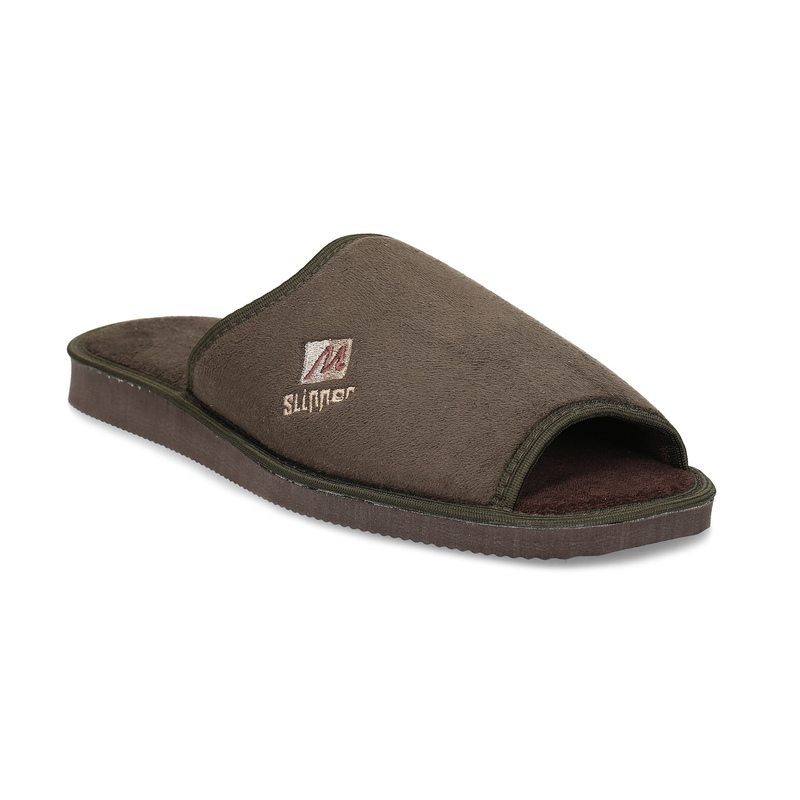 These men’s brown slippers are made from soft textile material so are nice to wear without socks. 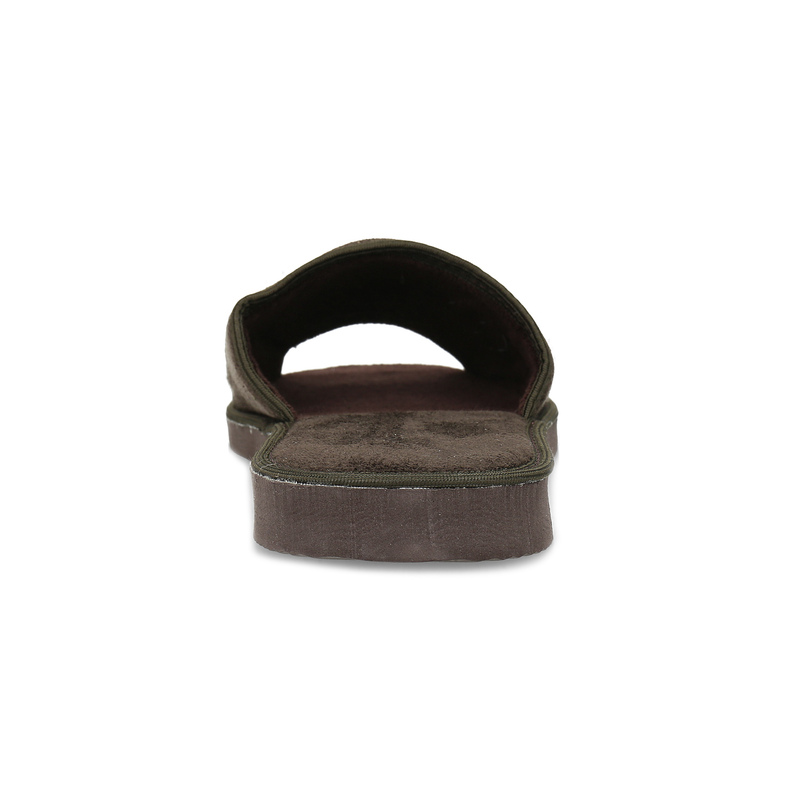 The sole is slightly raised under the heel and so matches the ergonomics of your feet. 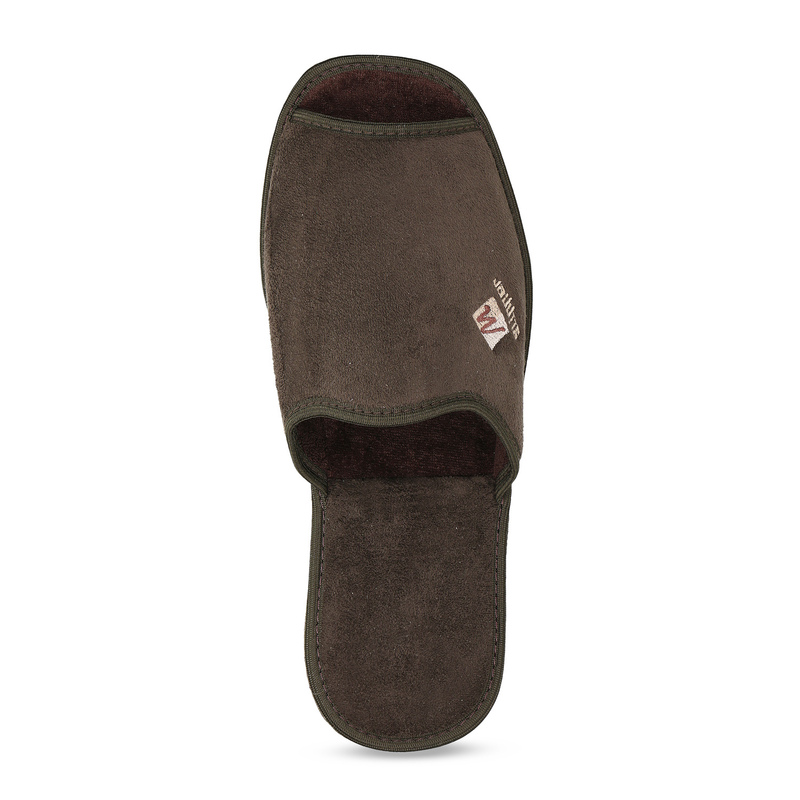 Ideal for putting your feet up at home.